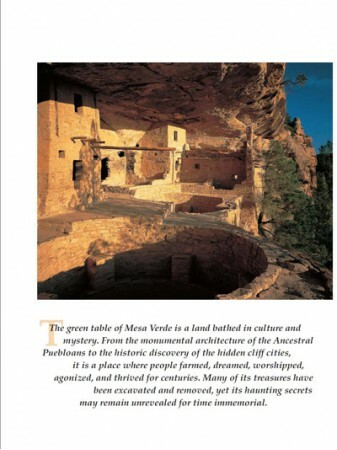 The green table of Mesa Verde National Park, Colorado is a land bathed in culture and mystery. 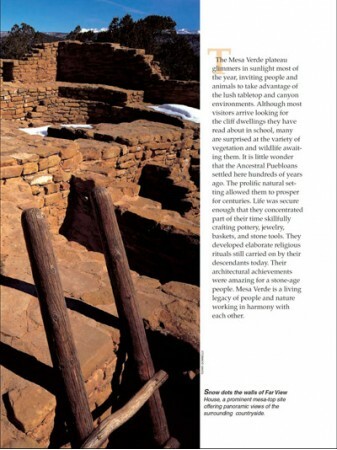 From the monumental architecture of the Ancestral Puebloans to the historic discovery of the hidden cliff cities, it is a place where people farmed, dreamed, worshiped, agonized and thrived for centuries. 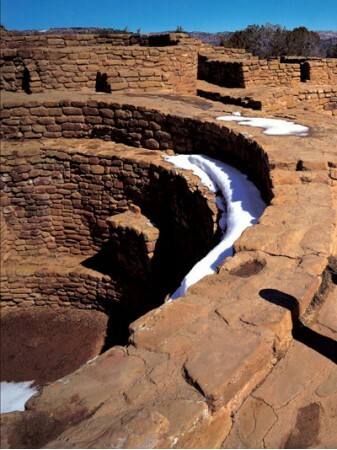 Many of its treasures have been excavated and removed, yet its haunting secrets may remain unrevealed for time immemorial. 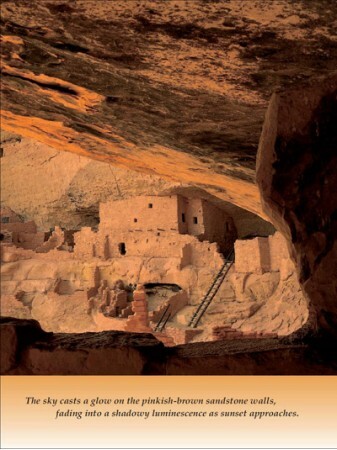 Mesa Verde, The Story Behind the Scenery, provides a sensitive and balanced look at the cliff dwellings--nestled in cliff alcoves and somehow shrouded in mystery--that are synonymous with Mesa Verde National Park. 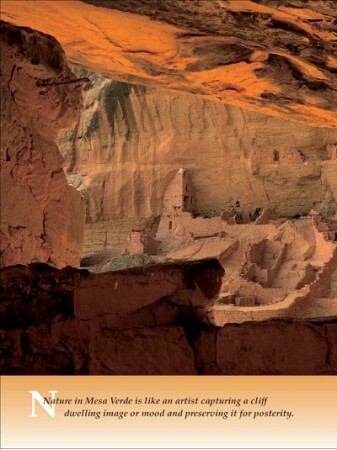 The legacy of the Ancestral Puebloan culture, formerly referred to a the Anasazi, is documented in detail in this enchanting book, providing a window into the forces that shaped the civilization over some 10,000 years. 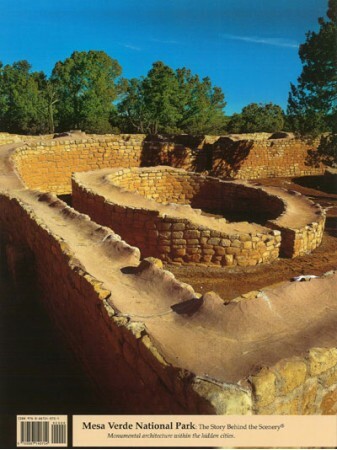 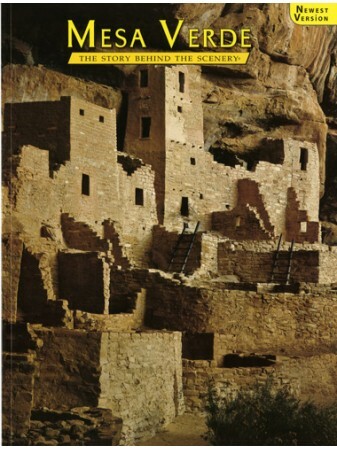 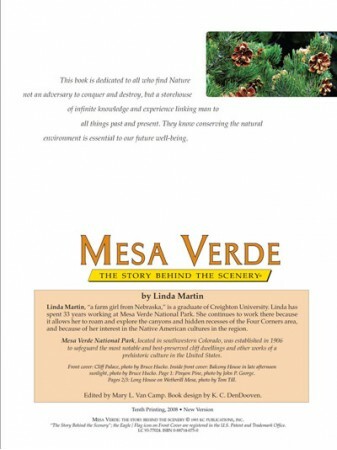 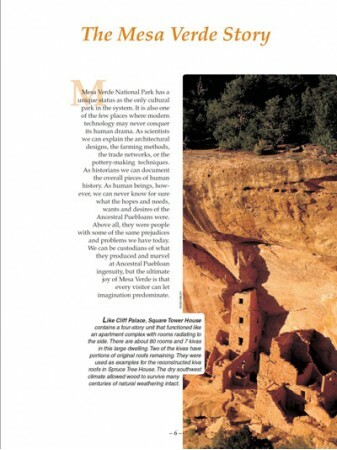 An exciting and lavishly illustrated book, Mesa Verde, The Story Behind the Scenery, details not only the native American cultural phenomena, but gifts the reader with a view the passion behind the creation of this only "cultural park" in the National Park system.